The 2017 Volkswagen Jetta in Orlando is best known for its sporty design, high-tech cabin and peppy performance. And this year, the top-selling vehicle returns to our dealership with several upgrades that make it even better. For starters, all models now get a rearview camera, which makes it easier for drivers to backup and park. Plus, the car's infotainment system is enhanced with a USB connection that makes staying connected to family and friends easier. Keep reading our 2017 Volkswagen Jetta review to find out all about this bestseller! Available in S, SE, SEL and GLI trims, the five-passenger Jetta comes with plenty of features that will help you get the most out of your time on the road. Standard features include 16-inch steel wheels, LED daytime running lights, foglights and power accessories. Over and over again, various 2017 Volkswagen Jetta reviews note that the sedan is decked out with terrific technologies that are more commonly found on pricier vehicles. And we agree. Standard entertainment and connectivity systems on the car include a four-speaker sound unit, a 5-inch touchscreen, a USB port and an auxiliary jack. 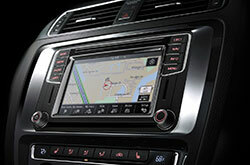 The top-of-the-line GLI adds a premium nine-speaker Fender audio system with a subwoofer. The 2017 Volkswagen Jetta in Orlando gives buyers three engine choices. First up is the 1.4-liter turbocharger four that makes 150 ponies and 184 pound-feet of torque. Spend a little extra on the SEL model and you'll get a 1.8-liter that pushes horsepower to 170. This powerplant is paired with a six-speed automatic, while the S and GLI can be had with a five-speed manual or automatic. At the top of the power pyramid, there's a 2.0-liter four-cylinder that offers plenty of giddy up with its 210 horses. 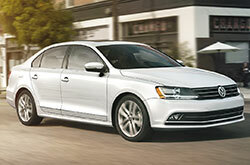 Orlando-area car shoppers who want the most safety from the Jetta lineup should go with the SE and GLI models. They get automatic crash notification, roadside assistance and geo-fencing as part of just some of the technologies offered through VW's Car-Net telematics system. 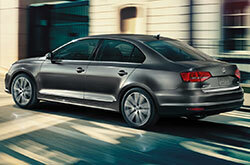 Every new Jetta also gets six airbags, as well as stability and traction control. The 2017 Jetta is now at David Maus VW North. Visit us today for a test drive! Want More Info on the Volkswagen Jetta? In the market for the 2017 Ford Focus, Honda Civic and the Hyundai Elantra? You should also visit David Maus VW North to take a look at the handsome 2017 Volkswagen Jetta and find out why it's a commendable option. The car's premium in-car technologies and eye-catching exterior design could wind up being just what you need from a daily driver. Look over the tools in our review to find out if the 2017 Volkswagen Jetta is a match for you, then browse up-to-the-minute OEM financing offers! 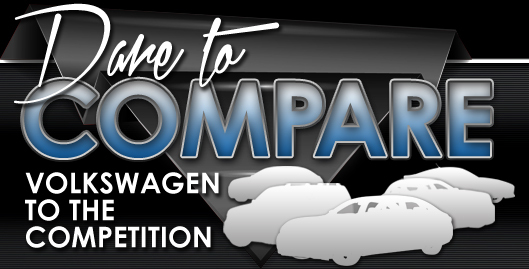 We're a local Volkswagen Jetta dealer with money-saving factory incentives on new and late-model-year used vehicles. We hope the info in our 2017 Volkswagen Jetta review will be usable when you make your final purchase decision. 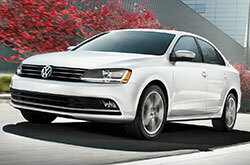 Stop by our dealership in Orlando, FL, and examine the new Volkswagen Jetta upfront. Hoping for an opportunity to see it prior to your visit? No problem - watching the included video recording will give you a peek at its cabin and exterior from all vantage points.